What a fun read! I thoroughly enjoyed Persephone. 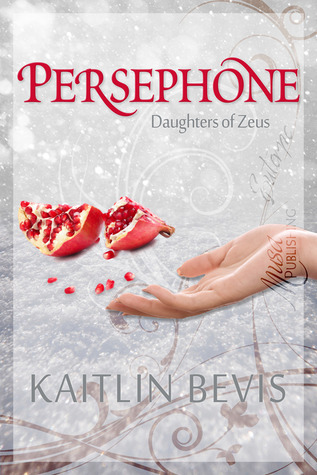 While a lot of books based on Greek mythology can be melodramatic and/or depressing, Persephone is instead a lighthearted, refreshing take on the classic myth. It reminded me a bit of the Percy Jackson books at times! The main character Persephone is a great narrator. She has a very real voice and is just your ordinary teenager...until she finds out she's a goddess! I enjoyed watching her discover that she's a goddess, and I also thought her reaction to this news was really fitting and realistic. It's easy to feel sympathetic to her and get caught up in her story. I also liked Hades's character. He's different than the typical Hades in Greek mythology stories; he's not as moody or prone to getting angry, as in some books I've read. Instead, he's a lot more understanding and kinder than I'd expected. I really liked this! It made him stick out as a character - he was a great cross between a powerful god and a sweet guy. And yay, there's no insta-love! The romance develops at a longer pace, and I liked the way Hades and Persephone's relationship grew over time. The plot is fast-paced and has many fun twists and turns. The ending was especially exciting - lots of action scenes! Persepone was an interesting read that I'd definitely recommend to fans of Greek mythology! * I received a free copy from the author in exchange for an honest review. Thanks!